Immediate placement of a dental implant right after a tooth is extracted, along with attachment of the temporary tooth, is a predictable treatment option for patients who must lose a tooth. My partner and I have been placing dental implants in our private periodontal practice in Newton and Framingham, MA for over 25 years. We have personally witnessed the evolution of implant dentistry to this point. Patients are thrilled with the results of “same day” dental implants and restoration. And, the esthetic results are typically outstanding; usually better than the outcomes that are achieved in delayed, staged-out treatment protocols. Critical factors for success include using an implant that provides superior stability in the bone of the extraction socket, right after the damaged tooth has been removed. 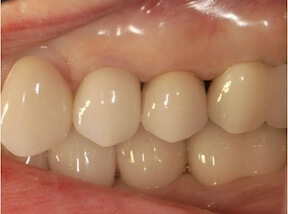 We also prefer using an implant that has a “platform shift” design to avoid loss of crestal bone during healing. 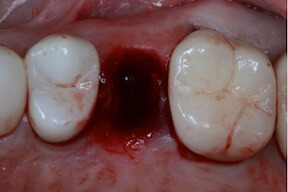 An internal connection is also desirable to provide maximum stability for the abutment which supports the crown (tooth). 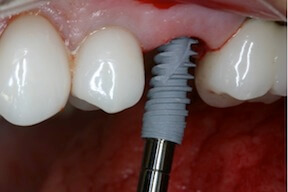 The NobelBiocare NobelActive implant fixture has been the perfect solution for us.